Frank Johnson with Damir Studen, winner of Liscious Williams Memorial. All photos courtesy of Frank Johnson (64 Squares). 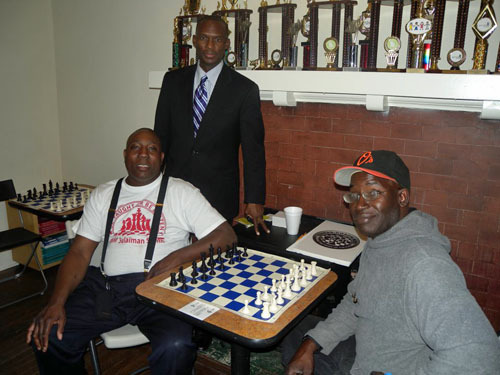 Frank Johnson has become a premier chess organizer in the state of Georgia, USA and the founder of the 64 Squares Chess Club. His story has been told here before, but he has made some improvements since The Chess Drum paid him a visit back in May. Despite a burglary last week and the loss of six digital clocks, a couple of computers and other valuables, his spirits are high and he is optimistic. 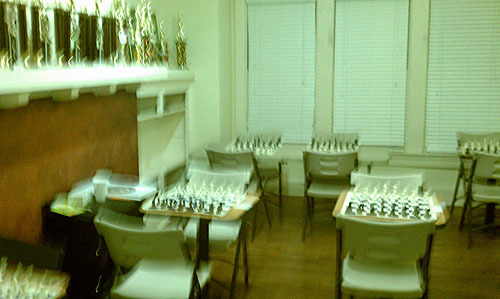 I was in Atlanta during his Liscious Williams Memorial tournament and the new site for the club is spacious with three floors and well-lit. 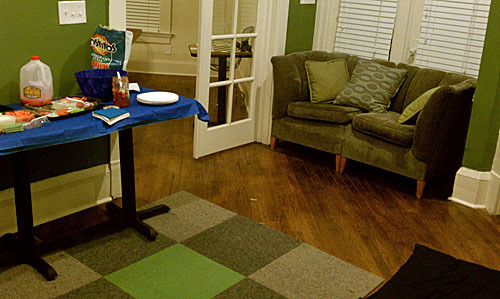 It is located right off Ponce de Leon Avenue in the Midtown area. 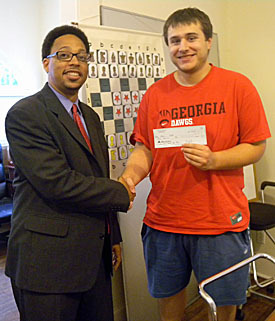 The tournament had about a dozen players including one of the state’s top players in Damir Studen (2300). 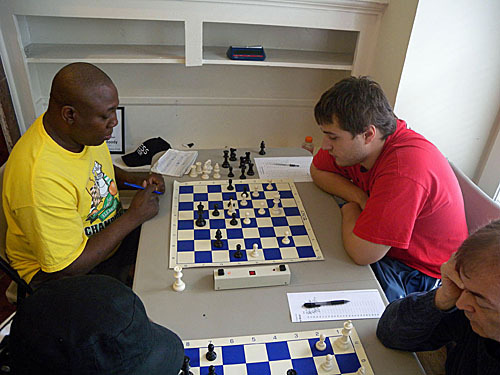 Student won the tournament beating Iyobebe Hanson in the last round. John Lattier, Lawrence White and Larry Agee came in joint 2nd. Jayashree Sekar and Dr. Minder Rucker tied for U1800/U1600 first place with 2.5 points winning $200 a piece! 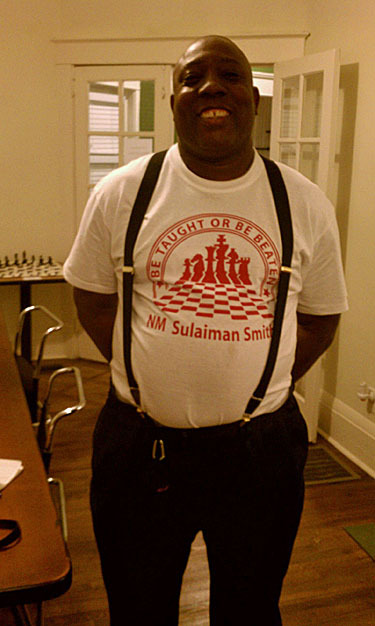 Longtime Atlanta resident Sulaiman Smith also participated. 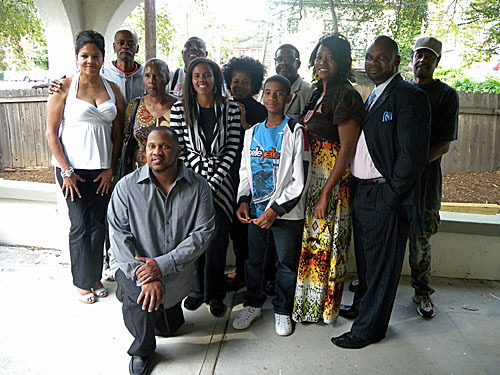 Players (rear) pose with the family of Liscious Williams. 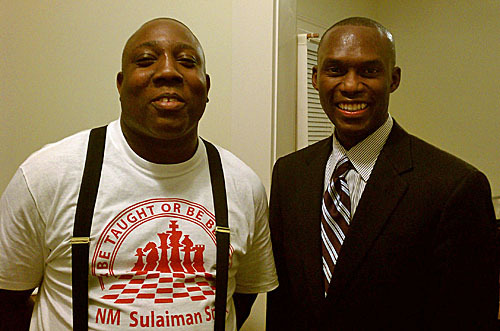 Dr. Daaim Shabazz of The Chess Drum visits 64 Squares. 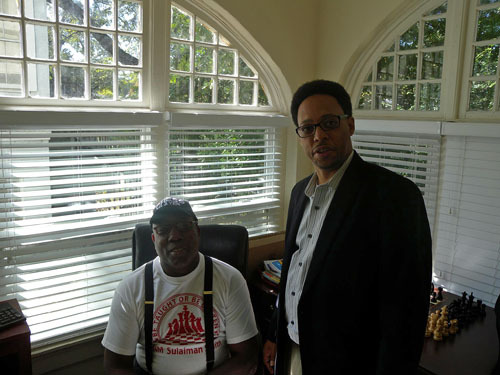 Sulaiman Smith and Reginald Drummer were on hand to welcome. Sulaiman Smith going down to Damir Studen in the penultimate round. 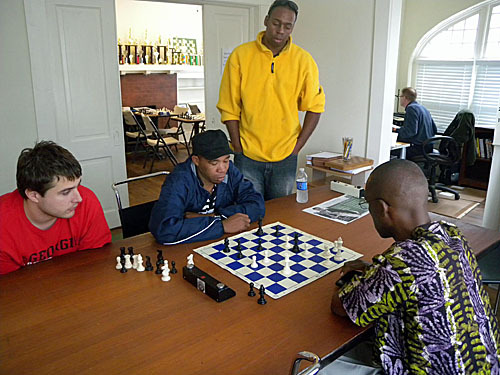 Iyobebe Hanson showing Daaim Shabazz his game as Damir Studen and Larry White kibitz. Alan Piper is at the computer entering his game. 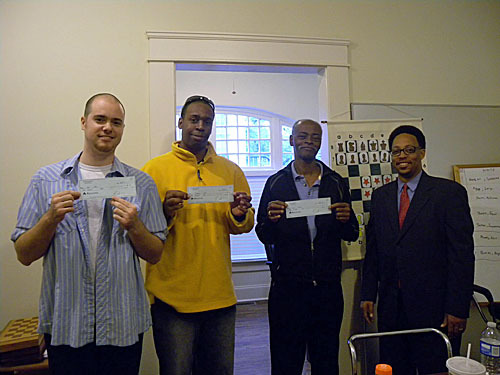 John Lattier, Lawrence White and Larry Agee received 2nd place winning from Frank Johnson. 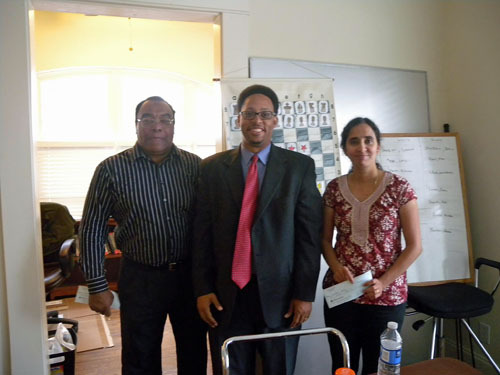 Dr. Minder Rucker and Jayashree Sekar receive winnings from Frank Johnson. 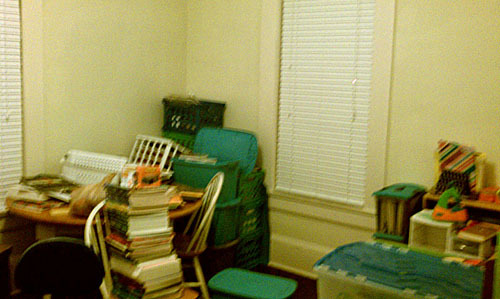 These were taken with my cell phone so the quality varied. Thanks for the mention and keep the beat going! Let’s talk soon about the W.A. Scott Invitational.